A little party never hurt nobody! You are invited to the BIG5 Prize Giving. by ChantelRall.In Uncategorized.Leave a Comment on A little party never hurt nobody! You are invited to the BIG5 Prize Giving.  You’ve done the training, you’ve finished the race, now its time to kick up your heels, put on your party shoes and join your fellow athletes for the annual BIG5 Sport Challenge prize giving! You may have noticed that we decided to host one BIG party at the end of the event and not at the end of each event/ day – this means that we have a better venue, more fun and more lucky draws to give you! Prize Giving for the BIG5 and BIG5 Lite. Complementary drink on arrival with Canapes served. Cash bar will be available. We will screen the Rugby (SA vs World XV) live from 16h30! So come early and watch the rugby with us! We will not be running shuttles to Pezula, but Taxi services will be available in Knysna. Don’t miss out on amazing lucky draw prizes! A two-night stay at Conrad Pezula for 2 people, an ORCA wetsuit sponsored by Fluidlines, a super hamper by Thule Bike Carriers, hampers from USN South Africa, hampers from FutureLife and much more! Previous Previous post: It’s SHOWTIME! Let the games begin! Next Next post: Race week is here – Get packing!